Why do humans climb mountains? Why do they sail around the world or learn to fly? We have this innate drive to accomplish. Maybe it’s ego or an adrenaline rush. To go boldly where no one has before. 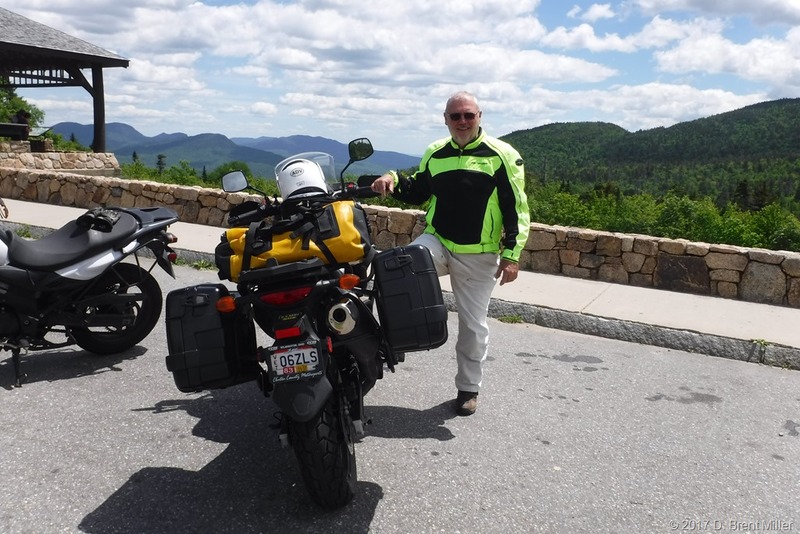 I’ve been motorcycling for more than 50 years, and early on, I never once thought about riding my motorcycle in all of the United States of America. But when I began to seriously tour on two wheels, I realized I was accomplishing just that. It was after I rode the Pony Express Trail to California in 2009, and discovered mapping software that would allow me to track the states I had visited that I became conscious of this goal. My next tour on the Oregon Trail had me planning to ride through states I had not previously visited. And, future tours began to form. My tour to the southeast to ride through states almost caused me to quit riding. Yes, quit riding. It was the most miserable tour. It was 2,400 miles in six days with five days of rain. Miserable. Miserable. Miserable. Not to mention the bee sting in the face at 70 mph on the Interstate next to a semi-tractor and trailer, or the pit bull that charged me when I was taking a photo of entering the fine state of Georgia. Or the chain-reaction accident that occurred right in front of me as I was attempting to exit the interstate in Augusta, Georgia. Miserable. What I was left with was the northeast. 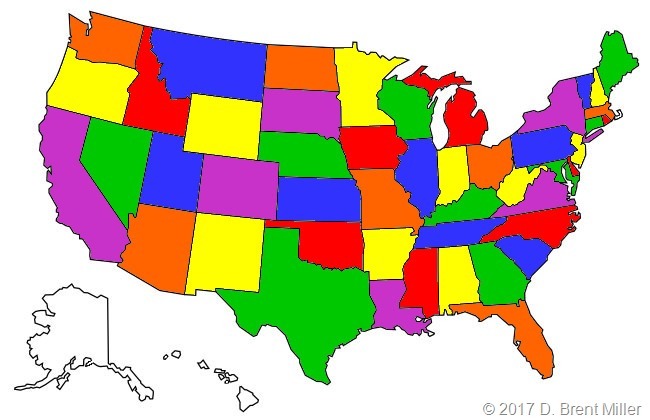 Ten states that needed some color. After that miserable southeast tour, it took me a while to actually plan the northeast ride—a couple of years in fact. 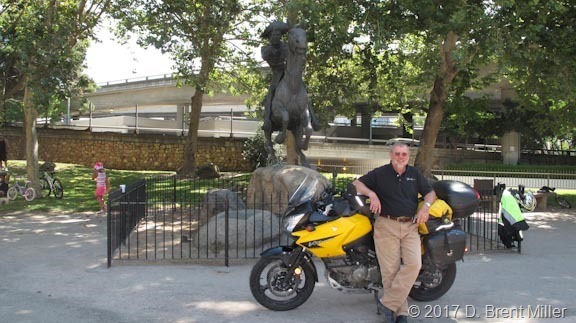 But, the day finally came, and I set off to accomplish something that few motorcyclists do—to ride in all of the lower 48 states. 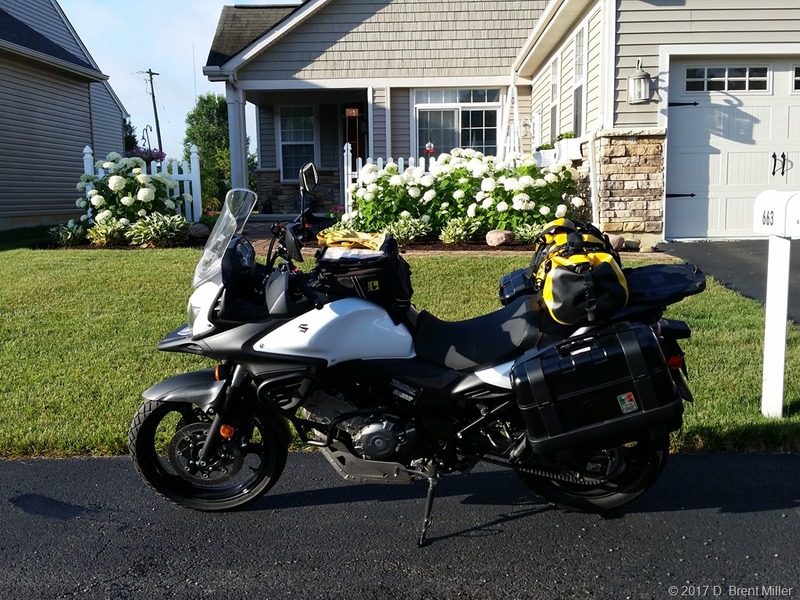 I packed my Suzuki V-Strom 650, and headed out. Unlike my southeast tour, I could not have asked for better weather. Blue skies and mild temperatures were abundant as I wound my way through Delaware, Pennsylvania, New Jersey, New York and into Connecticut. I managed to take a wrong turn or two. I took the wrong interstate in Connecticut found myself in Massachusetts unexpectedly and had to back track to cut over to Rhode Island. I didn’t want to leave that little state out of this ride. Then back north around Boston into New Hampshire and Maine—the turn towards home point. All good roads. Riding back across Maine and New Hampshire, I was in awe of the landscape. Beautiful country with fun twisty roads running along rivers and streams around mountains. I met up with a friend who gave me a guided tour through her part of New Hampshire. 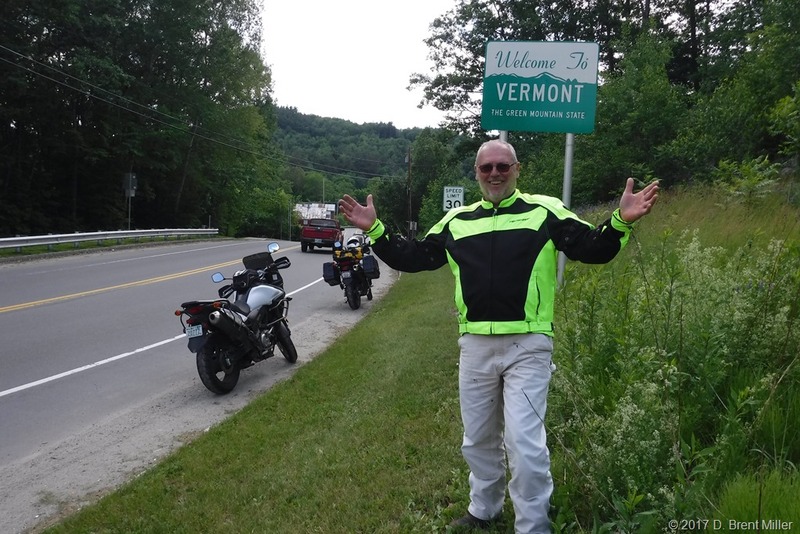 Riding a scenic byway, we headed for lunch, and then for the apex of my ride—Vermont, my 48th state. In previous rides, there was something more than just the ride. I was following history attempting to imagine the experience of those travelers 150 years ago, travelling by horse and wagon. This ride was … well, just a ride to fill in states. It is an accomplishment that few do, but with a few days to think about this bucket list item being checked off, I can say it has given me some closure. I’m ready to move on to the next adventure … whatever that might be. Next you should do the IBA 48 in 10. That’s on my bucket list. Not flower sniffing for sure but a mountain climb. It can be accomplished with an average of 750 mile days for ten days. Many kind thoughts for you as you reach one of your many goals Brent. I think some are hard just wired to be explorers and it’s that simple. You are one. We build our skills, plan, and just go. It’s the difference between just reading about travel experiences and getting-out to live it. You are fortunate to have the depth of choices and opportunities. Best wishes. Wow!…..that is quite an accomplishment !……Keep writing Brent, I enjoy reading your posts…..as a Canadian, I live in Ontario at the NE end of Lake Ontario, and ride alost daily from April thru November in this area, it is much like the Adirondacks in NY, with not as many elevation changes, great riding on fairly quiet roads……I had a nice 2011 V-Strom 650, but traded it and another bike on a new Yamaha fjr1300….luv it!…..32,000 km in 1.5 years…….not sure if you post on Facebook but riders may like following you there as well !……safe riding!